Can Dogs Eat Almond Butter? Is Almond Butter Good For Dogs? Can Dogs Eat Almond Butter? Is Almond Butter Good Or Bad For Dogs? Today’s question: can dogs eat almond butter? Is almond butter good or bad for dogs? Scroll down for detailed answers. We all know that almonds are healthy addition to our diets. Nuts of all varieties have been rising in popularity among humans and animals due to their high nutritional content and the ease of eating. Nuts are easy to acquire, transport, eat, bake, and serve. The almond is especially favorable due to the good taste, the smooth texture and the health benefits. Nuts of most kinds are able to be made into a butter, paste, or spread. Almond butter is an alternative to peanut butter and is also used as a topical cream for hair and skin. The use of almond butter is high and well received. Those who are health conscious may be quick to jump on the benefits of nuts and include nuts into their diet more often. The fact that almonds may be enjoyed as an almond butter makes the almond that much more enjoyable. Those who enjoy almonds may feel the need to share their new favorite snack with their dog. And as every dog owner wishes to provide his furry pet with the best diet, you might assume that including almonds or almond butter into your dog’s diet is a recommendable alternative. Peanut butter has been widely used as a treat for dogs as well as a disguise for medicine or undesirable food. Would an alternative to peanut butter be edible for dogs? Are dogs able to eat almond butter for a fact? Almond butter is a better alternative than peanut butter, but still you need to get acquainted with important facts on the subject. Being informed is always a good idea. Peanut butter poses risks on its own for allergic reactions and even death. Almond butter does not contain the toxins that peanut butter contains and can be enjoyed by most people (and animals) without risk of reaction. The answer to the question is yes! Dogs can eat almond butter. While it is a rich source of healthy properties and beneficial fiber, it is loaded with vitamin E. And as your furry pet needs large amounts of vitamin E for a healthy skin and coat, almond butter is a recommendable addition to your dog’s diet. Almond oil and almond butter are used for skin, hair and nail treatments, when offered to a pup, your dog may also benefit from the vitamin E and nourishment of almond butter. The hair and skin of your dog are just as important as your own. Dogs skin can become itchy, dry, flaky, and irritated and bring on a host of other issues if not treated and cared for properly. In the event your dog has itchy skin s/he is chewing and biting to relive the itch, try using topical almond butter on the skin as well as offering almond oil as a treat to ingest. Over time, the skin on your dog should improve and feel better than ever. In comparison with peanut butter, almond butter contains larger amounts of magnesium and iron – important minerals that aim at preserving the overall health of your dog. Also, it embodies only 14 percent fat, while peanut butter incorporates 50 percent fat. Too much fat in your dog’s diet may lead to developing pancreatitis, so it is best to keep the almond butter portions moderate. 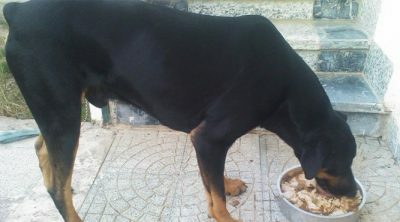 Many may not factor in fat grams when offering their dogs human food for consumption. 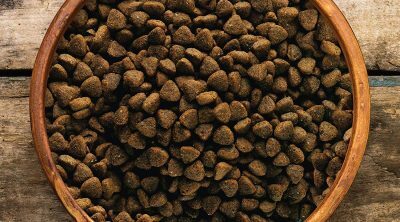 Limiting fat in your dog’s diet is just as important as limiting fat in yor own. Using almond butter as a low fat alternative to peanut butter is a good idea. Preventing weight gain, diabetes, stiff joints, heart issues, and pancreatitis is a loving gift to give your dog. Along with the almond butter put upon on a bone, you will have a happy and healthy dog to enjoy for years to come. When it comes to feeding your furry pet almond butter, firstly bear in mind that it should not be flavored. The best almond butter for your dog is plain and flavor-free. All human food given to dogs should be without added sugar, salt, and seasonings. Added seasonings may kill a dog unintentionally. Almonds are a pure and whole food meant to enjoy as-is. Almonds do not need added flavor to be enjoyed by your pet. The smooth almond butter that is deemed ‘plain’ is the simple and best option for your dog to enjoy. Every dog owner knows how harmful salt and sugar can be for the pet’s health. Bringing extra salt and sugar into the diet of your dog is not a responsible move on the part of the owner. 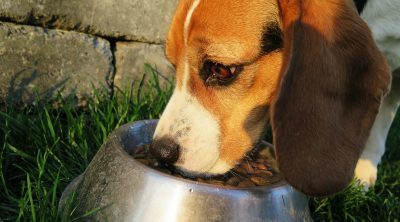 The dog food your dog eats has the nutrients your dog needs, including any sugars and salt content. Adding sugar and salt to your dog’s diet via treats will not benefit your dog in any way. The reverse is true and major health concerns can arise in your dog due to the overconsumption of salt and sugar. Also, when choosing almond butter, make sure to check that it does not contain chocolate and xylitol. 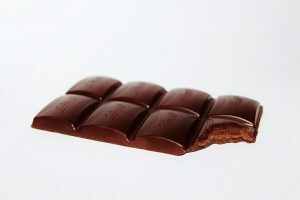 Chocolate is utterly detrimental for dogs and xylitol is an artificial sweetener that is considered extremely poisonous for your canine buddy. Both may kill your dog if eaten in excess. Depending upon the size and breed of your dog, chocolate and artificial sweeteners may not be digested well and even a small amount will prove toxic to your pet. Xylitol is a popular sweetener used in numerous products. It successfully replaces sugar and being safe alternative for diabetics to consume. Still, while it is fine for us to eat, this sweetener is poisonous to dogs. As I already mentioned, many types of almond butter contain this sweetener. It is important to pay attention to the ingredients in almond butter to avoid this substance. To avoid feeding your dog a potentially toxic version of almond butter, try to find an almond butter version made for pets and is for sale at a reputable pet supply store. Almond butter can be made, packaged, and sold in a manner that is safe for dogs to enjoy. If you would like to offer your dog a bit of your own almond butter, without buying him/her their own special jar, be sure to research the ingredients or ask you vet for advice. Even a small amount of xylitol may lead to the deadly devastation of your dog’s liver cells. It can also affect your pet’s blood sugar, leading to hypoglycemia. Hypoglycemia in dogs is accompanied by disturbing seizures, acute weariness and lack of orientation. 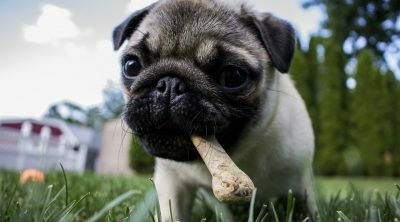 Xylitol is not safe for your dog to ingest, not even in small quantities. Reading the label before feeding your furry pet is crucial. Your canine buddy relies on you. For smaller dog breeds, the danger of xylitol poisoning is even larger. Small dogs have smaller organs and less ability to process human foods, making small dogs that much more susceptible to death due to poisoning. Moreover, if your dog has suffered from diabetes or other medical condition in the past, he might present an increased sensitivity to almond butter. Sweeteners such as Splenda that contains sucralose, NutraSweet that contains aspartame, or Sweet N’ Low that contains saccharin are not known to cause problems in dogs or other pets. However, these sweeteners could possibly cause mild gastrointestinal upset if eaten in large quantities. It is still recommended to avoid offering pets such sweeteners. Humans are no longer advised to ingest artificial sweeteners due to their chemical makeup. When humans have difficulty digesting these sweeteners, dog will have trouble as well. First of all, almond butter is rich in healthy protein. Your dog needs protein for energy. Also, protein intake is important for the process of tissue repair and regeneration. Additionally, almonds, which are the main ingredient of this butter, are believed to decrease the risks associated with cardiovascular diseases. 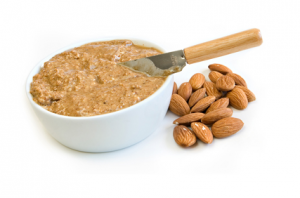 While it presents a significant amount of fat, almond butter doesn’t incorporate bad cholesterol. Still, your dog shouldn’t have too much of it, as only a well-balanced diet will maintain your pet’s health in the long run. While we’ve established that almond butter is safe for your furry friend to have, feeding it to your dog in moderation is the key to a healthy diet. For instance, you may fill Kong toys with almond butter – your dog will love it. 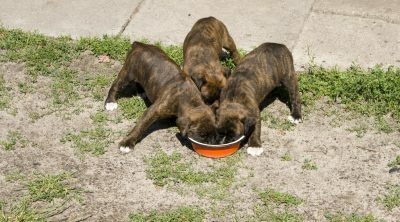 Also, you may choose to add one spoonful to your pup’s normal diet or improvise a couple of recipes. This recipe is easy and delicious. Your dog will be delighted to chew on these homemade treats. 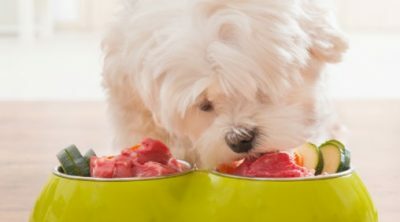 If your furry pet has increased stomach sensitivity, then it’s advisable to consult your vet before cooking these treats for him. First, preheat the oven to 350 degrees. Combine the organic almond butter with the egg and stir until you obtain a nice mixture. Separately, mix the flour with the baking powder. Combine the two mixtures and add the milk. You should obtain a stiff, steady dough. Spread flour on the table before rolling the dough. Use whatever cookie cutters you may have. Leave the cookies cook for at least 20 minutes. After they’re done, let them cool down. Now your dog may relish these amazingly delicious almond butter treats!